Arrow’s international provers can be manufactured using the same standard stocking sizes: 25 Gallons & 100 Gallons with custom sizes available upon request. Graduations in Liters, Gallons or Cubic inches. 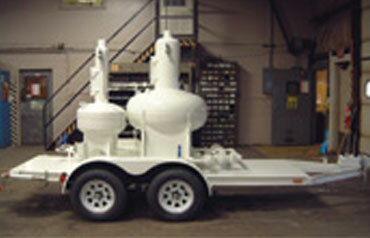 Our provers are ASME approved and are available with optional pumping packages. Arrow can discuss your unique specifications. Prover and trailer being prepared for shipment overseas. 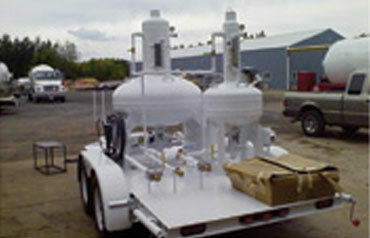 Prover and trailer ready for shipment overseas. 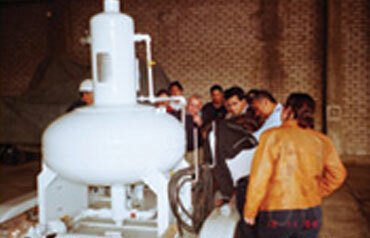 Prover use and operation seminar on location overseas.